As a newly qualified teacher, you probably struggled with the mechanics of teaching children how to read. However, once you mastered phonics instruction and guided reading sessions, it all fell into place, right? But are you teaching this essential skill as well as you could be? Is every child in your class getting it? I've been doing some research* and will share my findings concerning common mistakes with you below. I'm the first to admit, I have been guilty of this. It made sense to me to break letters into manageable segments (lower case letter recognition and sounds, upper case letter recognition and sounds and then, finally, letter names) to make it "easier" for students. Learning is all about making connections. By teaching sounds and letter names in isolation this way, I was doing my students a disservice. Struggling students often experience difficulties in making connections. Teaching letter sounds and names in isolation makes the process more challenging for those types of students. Well, as it happens, only 4% of words in the English language are completely non-decodable. Picture yourself learning an additional language. You spend weeks, perhaps months, learning the code only to be told to "forget all about that" and, instead, learn a whole bunch of words by sight. Confused/frustrated much? I know I would be. Instruction should address students' levels of decoding skills. Emergent readers will most likely have to learn the word "the" before learning the "th" sound. 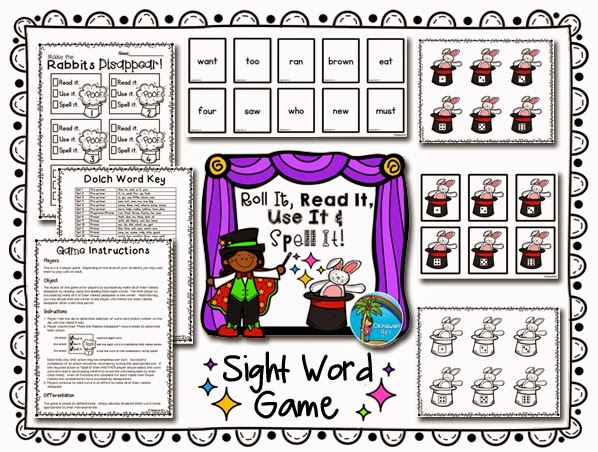 Initially, you should teach these students "the" as a whole sight word. HOWEVER, later instruction should go back and address the fact that the "th" part of the word is decodable. The powers that be in England have attempted to address this common misconception in their curriculum guidance by using the phrase "common exception words" as opposed to "tricky words". The English language has many rules with exceptions. For example, "i before e except after c". It can be tempting to teach "achieve"and "ceiling" together with some exception words such as, "seize" and "vein". Sure, you will save yourself a bit of time. However, chances are you will confuse some students in the process. After all, what is the point of learning something that doesn't always work anyway? Exceptions should be addressed when, and only when, students are proficient in their knowledge, understanding and application of the rule. Reading is an essential skill in every curricular area. Use opportunities in lessons other than phonics to make connections with phonics instruction. As a primary school teacher, I often find myself explaining the meaning of various words. However, I have to remind myself to discuss how to decode the word and then explain the meaning. Do your students know exactly what to do when they encounter a word they don't know? Is the process explicit and on display with visual clues? If not, it most definitely should be. Students need to know what to do when they don't have us around to support them. This is particularly essential when it comes to homework and school holidays. A bookmark with visual clues / text would serve as an excellent reminder when students are reading at home. I love this wonderful quote from Shantell Berrett over at ReadingHorizons: "Assume nothing, connect everything". Regardless of how many times we, as experts, have explained various terms connected with reading, are you confident that every single student knows what you are talking about? Check and check again. To celebrate the launch of my new blog, I have created a free Dolch sight word game exclusively for my blog followers (the first of many treats!). *Research: Much of the content of this post was thanks to the wonderful webinars hosted by the team at Reading Horizons. I highly recommend checking them out.